You Can Run a Marathon! 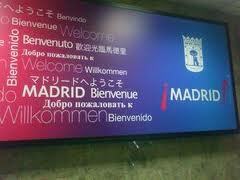 : I'm Finally in Madrid! The flight over was great. 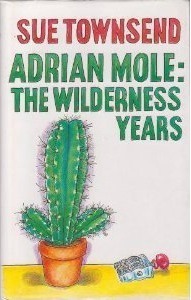 I sat for three and a half hours reading Adrian Mole - The Wilderness Years! I used to love these books so when I saw this in the bookstore the other day I knew it would serve me well for the flight. 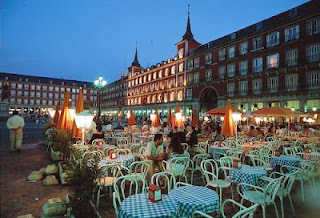 Madrid is fantastic! I'm loving the buildings and the people :-) After arriving at my hotel (very nice by the way), I took an evening walk up Gran Via and then down to Puerta del Sol, on to Plaza Mayor and then back to the hotel as it was 10pm by then. By the way, the weather here is great for running! Awesome. 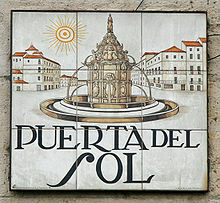 Wish I was there! Looks like it's going to be a great race day!